What an amazing year 2015 has been! We met many wonderful people who used to suffer from IBS and who now are back to the lives they thought were lost forever. Your comfort brings us joy! We also welcomed some amazing talent to our team. 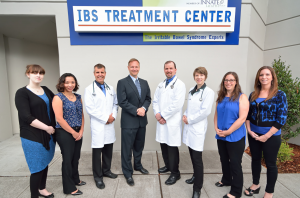 At the IBS Treatment Center we are proud to offer you a full-spectrum approach to your dietary health and wellness. We understand what a huge impact IBS has on a person’s life. Many of us who work at the Treatment Center suffered through the ups and downs of digestive problems and endured diagnosis and remedies from doctors who didn’t quite “get it” or who seemed to dismiss our complaints instead of taking them to heart. It can be a frustrating path without the right support. That is why we want you to feel supported 24/7 with quick access to our resources and information about what we can do for you. We would also like to introduce to you our new website! You will find it simpler to use than our old site, complete with background information about our doctors and specialists. You can even order the high-quality products recommended by our staff. It’s friendly, helpful, and tells you what you need to know—just like visiting one of our offices. So during the festive time of year when that list of naughty foods you should avoid gets lost in the holiday cheer, please remember we are just a click away. We are always ready and willing to help you get back on track. Our wish from the IBS Treatment Center to you and yours is a new year filled with great health, good friends, lots of cheer, and a happy gut. Because when you feel good on the inside, everything seems better on the outside. From All of Us at the IBS Treatment Center.